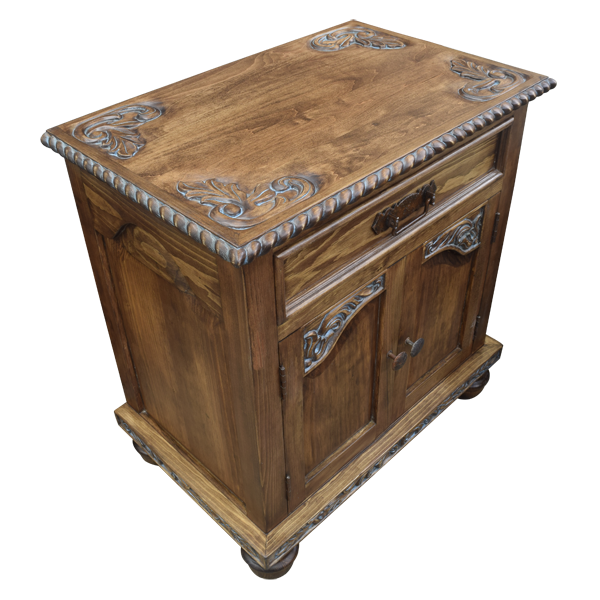 This handcrafted end table has a wide, useful, open top, and each corner of the top is embellished with hand carved, antique finished, floral designs. 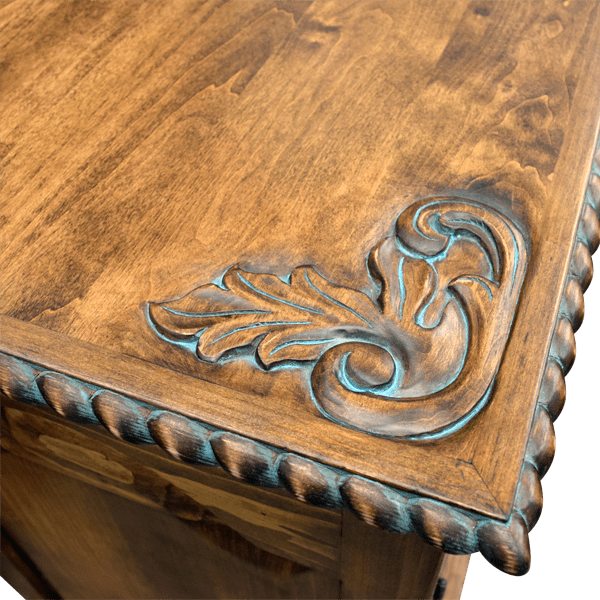 The top rim of the end table features a hand carved, twist rope design. Directly below the top is a rectangular drawer, and centered in the drawer is a hand forged, iron handle. 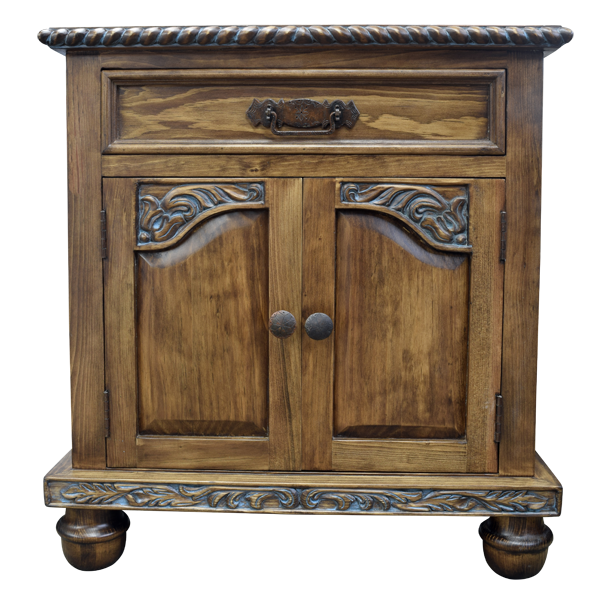 The end table has two, rectangular cabinet doors with a semi-arched cut design. 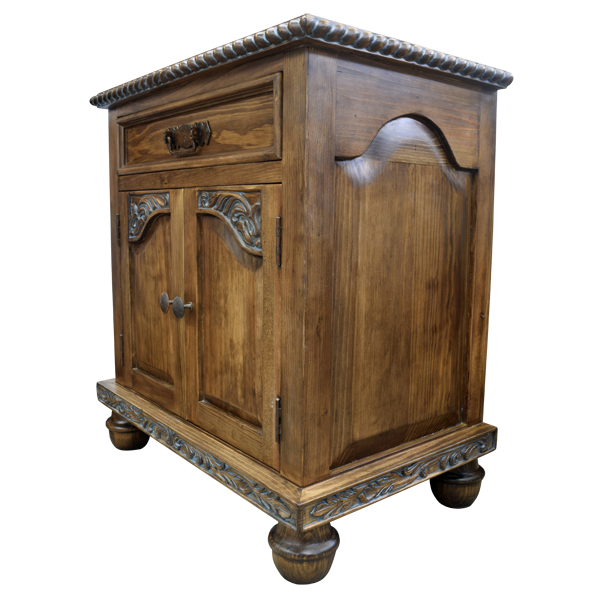 Directly above each semi-arched design are ornate, hand carved, floral details. Also, each door panel has a hand forged, pull handle made by our skilled craftsmen. 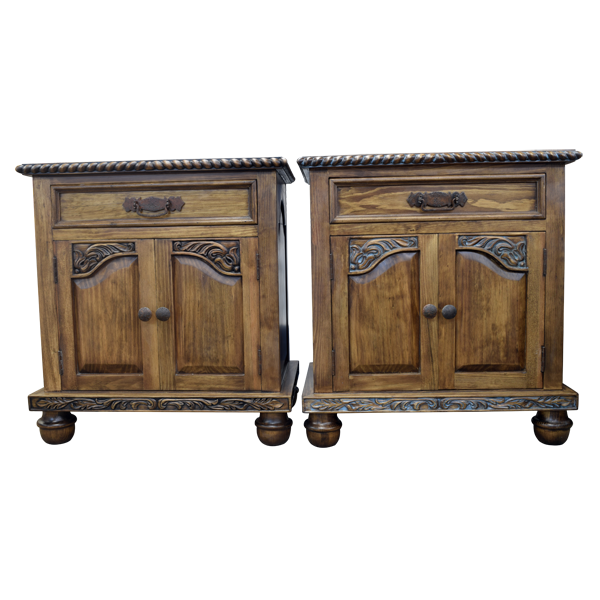 On each side of the end table is a geometrical cut wood panel, and the lower base is adorned with hand carved, floral designs. 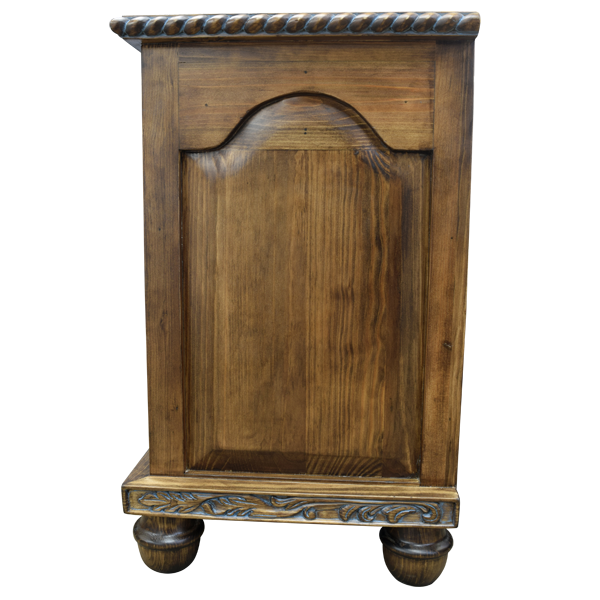 The end table rest on hand turned, bun style, tapered feet, and it is made with the best, sustainable, solid wood available. It is 100% customizable.